You Can't Hold The Tail Still! 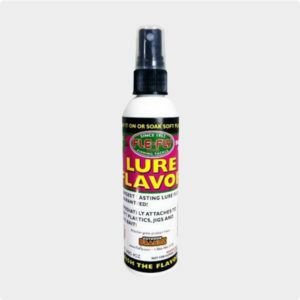 LURE FLAVOR is all purpose attractant and flavoring attractant designed for usage on soft plastics, rubber lures, flies and jigs. Longest lasting flavor on the market – Guaranteed! 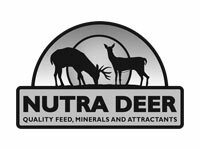 Instantly penetrates soft plastics, rubber lures, flies and jigs. Fish follow the intense scent and flavor. 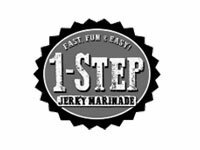 Easy to use – Spray baits while fishing or soak baits at home for extra flavoring. 100’s of sprays in each bottle. The new 4″ KABOOM swimbaits by Fle-Fly are perfect for Alabama rigs or slow roll them as single swimbait. KABOOM’s massive tail grabs lots of water allowing you to SLOW your baits way down while the tail keeps turning at ultra slow speeds. 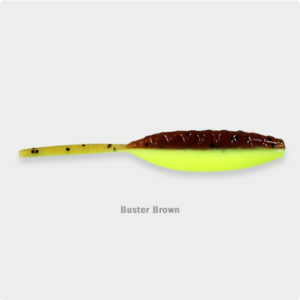 Alabama riggers love these feisty swimbaits because they can slow their A rigs down and keep them in the strike zone longer. GO GO MINNOW’S……THEY CAN’T STAND IT! 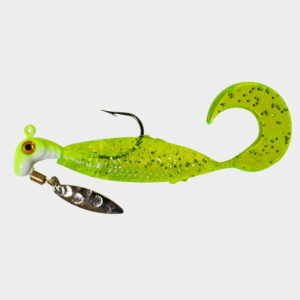 Ponds, creeks, rivers or lakes – The GO GO MINNOW makes catching fish easier wherever they swim! The combination of a perfectly shaped minnow body that’s attached to a vibrating curl tail creates a lure that gamefish simply can’t resist. Once you start fishing with the GO GO Minnows you won’t be able to take a trip with out them. Depending upon the size, the chart below represents how many baits come per pack. 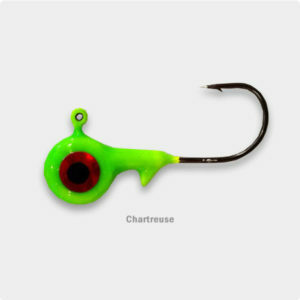 Looking for a lure with MAXIMUM flash and action under water? Then look no further then GO GO RUNNERS! 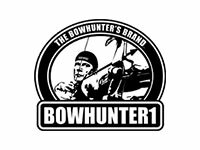 GO GO RUNNERS are the perfect balance between the crazy popular GO GO MINNNOW and the long time favorite ROADRUNNER bladed jig-head. 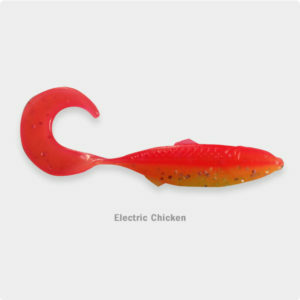 The vibrating curl tail plus the thumping blade adds 2 times fish attracting action and vibration. This comes 1 to pack. CRAPPIE KICKERS! 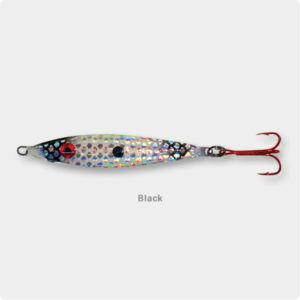 These feisty little lures have a straight tail action like no other. Check this out – When you hold them to the side the tail droops behind the body. When you put them in the water the tail floats up behind the body! 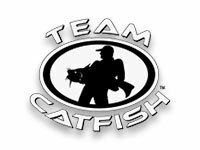 Every wave, reel crank and rod twitch makes the CRAPPIE KICKERS tail go wild. Fish can’t resist……. 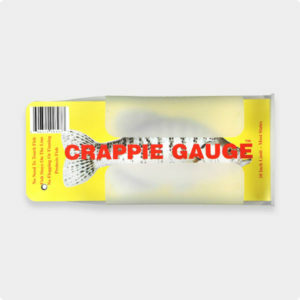 You can’t hold the CRAPPIE KICKER’S tail still – Perfect for those big ol’ slab Crappie, Bass, Perch and Trout. 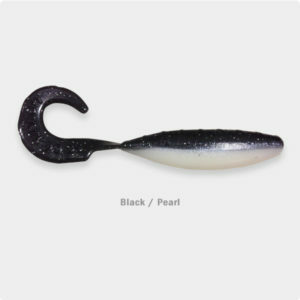 Perfectly balanced weight forward head design keeps baits in a horizontal position. Lazer sharp black nickel American made hooks.